The holidays are finally here. It’s time to enjoy some of your favorite treats: hot chocolate, freshly baked cookies, and candy canes. But why buy standard peppermint candy canes when you could try something a little more interesting? Archie McPhee is a novelty store that’s selling crazy candy cane flavors. You can try savory flavors like bacon, rotisserie chicken, gravy, pickle, coal, and coffee. Bacon, rotisserie chicken, and gravy all have meaty tastes; you can get away with having candy for dinner. A pickle candy cane tastes sweet and sour just like the real thing. The coal flavor tastes similar to ashes or smoke. 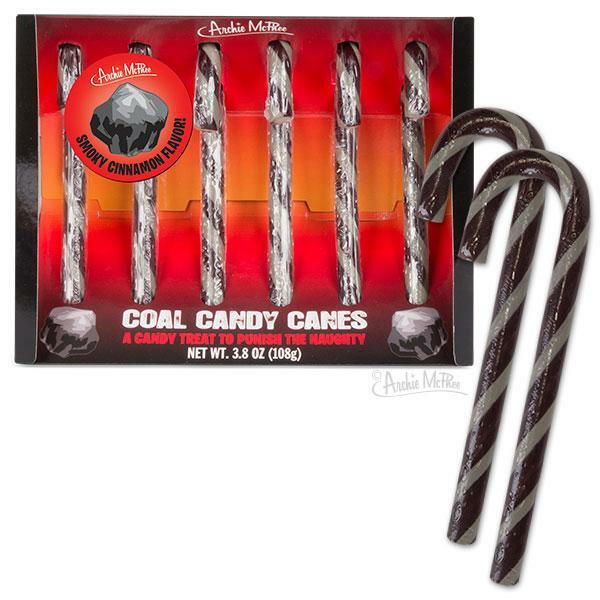 Now you can actually handout coal to people on your naughty list. Would I eat this? Maybe, I'd try the coffee one but I'm not going anywhere near the pickle flavor. I’d try to trick my family and friends into picking between two similar candy canes. Each $4.95 pack comes with 6 candy canes in their own unique colors and packaging.